It rained heavily for the first time in almost two months yesterday. It was raining when I woke up, and still raining when I went to bed. I know we needed it, but it made being productive a lot harder. This made for a cool and dreary day in Central Virginia. Perfect weather for roasting, baking, and soup making, but I had potatoes on my mind. Potato salad is one of my favorite summer meals, and I find it painful that many individuals only enjoy potato salad during the summer. I like it in all varieties and love it's versatilely. 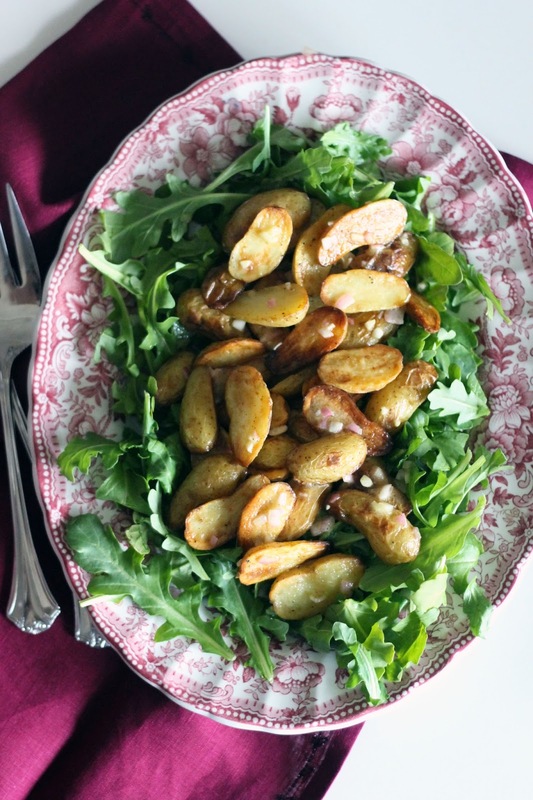 This potato salad is both hearty and light thanks to roasted potatoes and a lemon vinaigrette. It would still be great during the summer, but I find this dish comforting on a cool fall day. Preheat oven to 425 degrees. 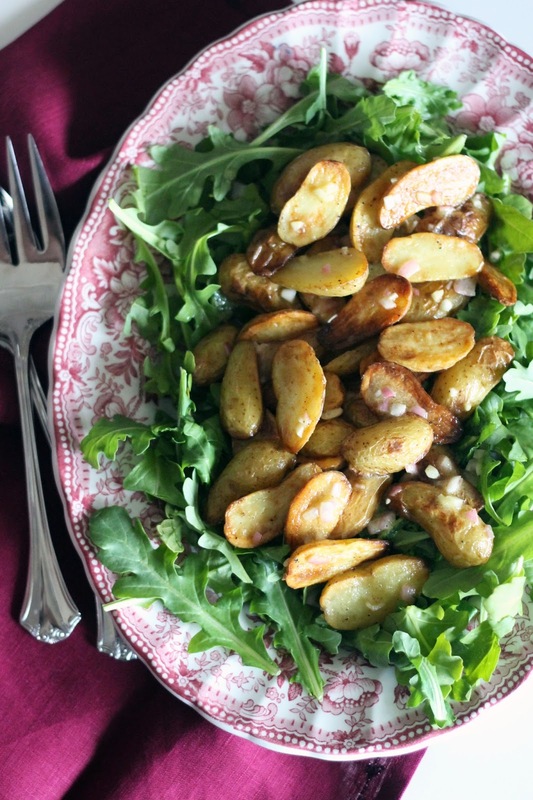 Cut fingerling potatoes in half and place on a rimmed baking sheet. Toss with 1/4 cup olive oil and season with salt and pepper. Roast for 15 minutes, turning potatoes halfway, until fork tender. Set aside. 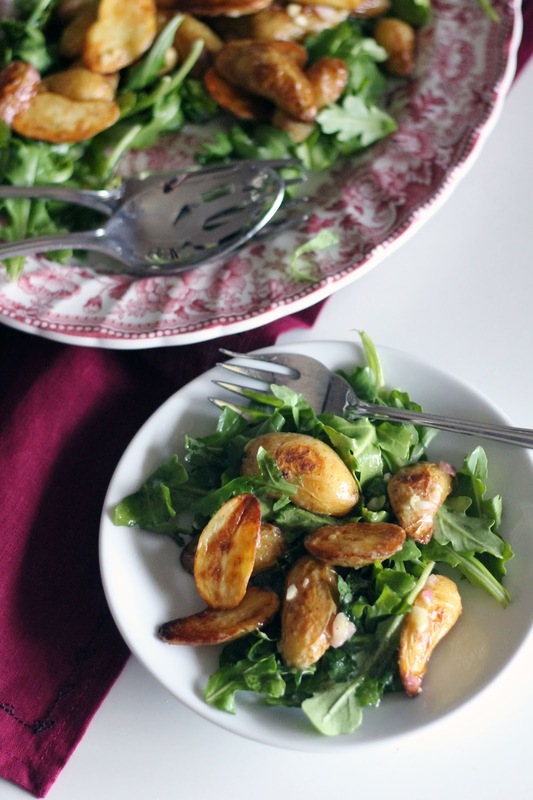 In a small bowl whisk together shallot, garlic, juice of 1 lemon, and olive oil until emulsified. Season to taste with salt and pepper. Poor half the vinaigrette over the warm potatoes and coat to combine. 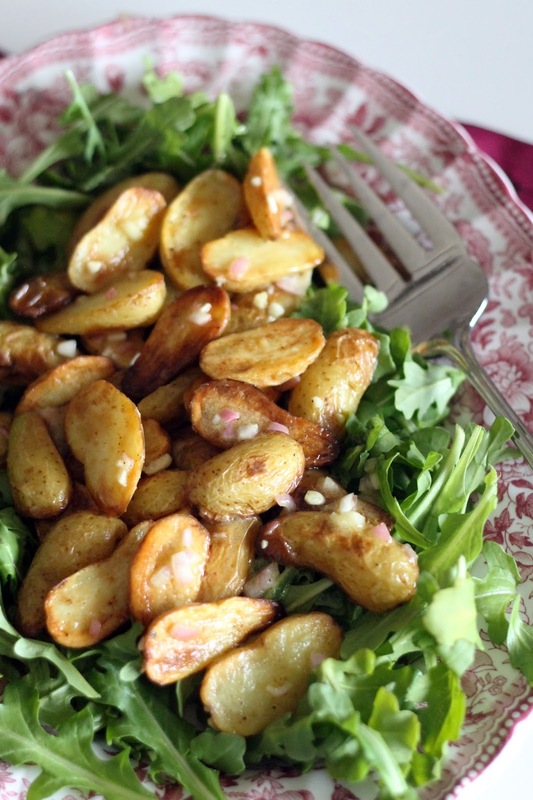 Allow to sit for 5 minutes so the potatoes soak up the vinaigrette. Place arugula on a large serving platter. Top with potatoes, they should still be slightly warm. Drizzle with remaining dressing. Serve immediately. 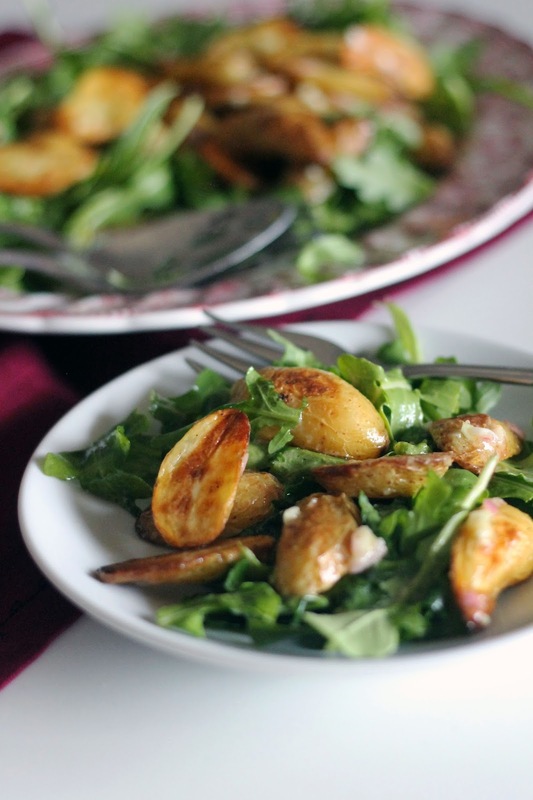 This is super similar to a roasted potato and chickpea arugula salad that is one of my FAVORITES (in fact, I just made it and ate it yesterday and today!). It's so nice for this time of year, too.